We understand that families may want to have a holiday during times when their child is booked to be at nursery. If your child is booked for term time only and you choose to take holiday within term time you will still have to pay full fees for this time. If your child is booked for all year round then they are entitled to take 4 weeks holiday at a reduced price of 50% as long as written notice has been given the month before. If your child is absent whilst meant to be in attendance a written letter or email is required to alert nursery staff. 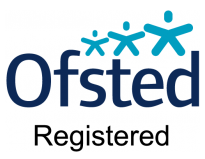 Nursery staffs have a responsibility for the safeguarding of all children in attendance and long periods of absence without written notice may be reported to MASH.